Here's Peyton on the deck of the ship after being dumped by the Bachelor, Andy Baldwin. 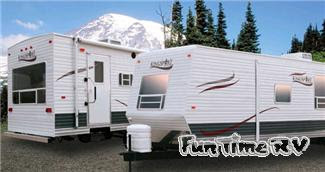 Thanks to Jerry Ervin who spotted this website that sells Kingsport RVs. Click on the trailers to visit the site that sells them.